Nine current students, faculty and staff members can argue against the proposed merger of the Corcoran Gallery of Art, one of the nation's oldest museums, and its college with two larger institutions in Washington, a judge ruled Monday. District of Columbia Superior Court Judge Robert Okun ruled the group has a special interest in the merger, noting the students have paid tens of thousands of dollars in tuition to the Corcoran college, and could possibly be harmed by the deal. They will be allowed to intervene and present arguments on the Corcoran's future in hearings scheduled to begin July 28. The Corcoran's board is seeking to merge the museum founded in 1869 and its college with George Washington University and the National Gallery of Art after years of financial shortfalls and daunting renovation needs. Allowing students and faculty to intervene and oppose the merger was a key decision that will force full arguments over the nonprofit Corcoran's plans. The only other party to the case, the D.C. government, is supporting the merger plan. In his ruling, Okun noted the students are "challenging a proposal that would alter the very nature of their institution" as their college would become part of the larger George Washington University. Seven students were granted intervener status in the case, along with one current faculty member and one current staff member. Student government leaders Camila Rondon, Miguel Perez and one of their former professors clasped hands in celebration as Okun read his decision. They called the ruling a victory in an effort to save a school and museum they love. 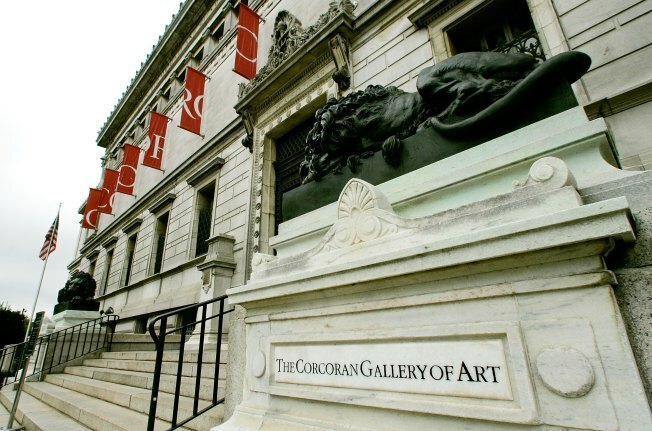 "We're the ones that basically have been paying the bills for the Corcoran, and we just love this place, and we don't want to see it go down," said Rondon, who is president of the Corcoran Student Association. Perez, the student government's vice president, said it's been tough taking on their own school administration in court. But the student plaintiffs are hopeful the merger can be stopped. "I think as art students, it's something that we do. We fight the man," he said. "And even though that man is our institution, an institution that we love very much, I think it's difficult but it's not undoable." Lawyers for the Corcoran's board argued that even if the merger plans were to be stopped, there would still be dire consequences for students and faculty. "If the transaction were not to move forward, those same injuries or worse would occur," said attorney Charles Patrizia. If the Corcoran is forced to use its dwindling resources to operate its college for another year, he said, the Corcoran would likely have to close its museum and fire curators. There would be no guarantee of the college's future beyond one year, he said. "It's going to provide certainty for students and staff and faculty, and that's important," Patrizia said. The judge ruled against allowing a larger group called Save the Corcoran to intervene in this case because the organization as a whole would not be injured by the potential merger. The group, which includes students, former faculty, donors and staff, has argued the Corcoran has been badly mismanaged and could survive as an independent museum with better fundraising and management.